Here at JG Real Estate we know how important it is to be a part of your local community. That’s why we’ve partnered with several Philadelphia small businesses to refer them clients, while also providing discounts to our tenants. Please, continue to check back as we are constantly adding new local partners! BPM Fitness – Current residents and new tenants of 19130 with leases signed through the end of 2018 are eligible for a free week at BPM fitness. BPM fitness is located at 18th and Spring Garden Streets and offers four different class types daily including: The Circuit Breaker™, The Full Body Burn™, The Roots™, and Cycle BPM™. Visit their website to learn more about their classes and memberships: bpmfitnessphl.com. To redeem this offer, email info@BPMfitnessphl.com and be sure to mention you are a JG tenant! *Residents of 19130 and surrounding .5 mile radius are eligible. Additional terms may apply. City Fitness – Our larger multi-unit buildings, such as Reach Lofts and a few of our multi-unit property owners have signed on to offer a free first month to the six, soon to be seven, City Fitness locations across the city. With group classes, personal training and every piece of strength and cardio equipment available, City Fitness offers something for everyone. To find out if you are eligible, reach out to our marketing team (marketing@jg-realestate.com) and they will help get you set up to take advantage of this offer! *Applies to new City Fitness members only. 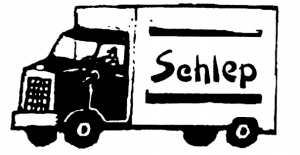 Sultans of Schlep – Locally owned, Sultans of Schlep knows all about moving and especially about navigating the obstacles of moving within the city. They’ve been in business since 2002 and are offering our clients a 10% discount on their moving services. Nobody wants to carry boxes up to a third floor walk up, so leave that job to the professionals! To take advantage of this offer, reach out to our marketing team (marketing@jg-realestate.com) and we’ll connect you with Sultans of Schlep to be sure you get that discount! 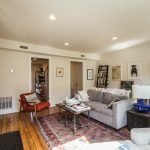 BR Moving – Based out of Center City, BR Moving is ready to handle any move – large or small. They offer packing assistance, disassembly and reassembly of furniture and are offering a 10% discount on their services. To take advantage of this offer, reach out to our marketing team (marketing@jg-realestate.com) and we’ll connect you with BR Moving to be sure you get that discount! 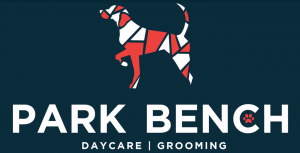 Park Bench – Offering doggy daycare, grooming and training services, Park Bench is ready to take care off all your four-legged friend’s needs! They are located at 21o1 E Norris St in Kensington and we hear they have a second location in the works. They’re generously offering our tenants a few different discounts: 10% off “single day” daycare service (first-time purchase), 15% off daycare packages (first-time purchase), 15% off Full Grooms (for your duration as a JG Real Estate tenant). Reach out to our marketing team (marketing@jg-realestate.com) and we’ll get you a coupon to take advantage of this offer! 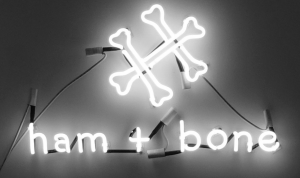 Ham + Bone – Located in Fishtown, Ham + Bone is “not your average pet shop.” The retail portion of their shop is constantly adding new products and prides itself on offering the best food, treats, supplements and toys for your dogs and cats. They also now offer grooming services, both DIY and full service. We know trying to wash a dog in your apartment bathroom isn’t the easiest task, so Ham + Bone is offering all tenants a coupon for a “free first DIY wash.” Contact our marketing team (marketing@jg-realestate.com) to get your coupon! 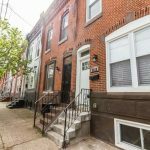 Sherwin-Williams – The Fishtown location of Sherwin Williams (just off the corner of Frankford & Girard Sts) has offered our tenants a 15% – 40% discount, depending on the product. Reach out to our marketing team (marketing@jg-realestate.com) and we’ll connect you with our sales rep to get you the best deal possible! *Please note that if you wish to paint an apartment or home you are renting, you must ALWAYS get written approval from your landlord first! Contact us to learn more or with any questions you may have, and as mentioned, we’re always looking to add new partners, so check back frequently. If you have a suggestion, let us know that too!